Tingling in feet and legs faces the chiropractor on a daily basis. Paresthesias, as they are known, are a sign that tissue is starved of either blood or nervous input. Sitting with your legs crossed, for example, places pressure on the femoral artery, preventing the muscles in the lower limbs from receiving sufficient oxygen. The result is those strange feelings with which we are all familiar. The cure, of course is simple; uncross your limbs. More commonly, the source of the tingling is an irritated or frankly pinched nerve. It could be in the brain or spinal cord, but more usually the site of injury is where the nerve emerges from the spine, in the buttock or the groin. This irritation may be from noxious chemicals released from the cartilage within a fixated joint. Starved of oxygen and nutrients, and a build up of waste products within the synovial fluid, they hyaline ending of the vertebrae and facets begin to complain; the result is tingling in the feet and legs. This website is not about the vascular causes of tingling legs, but you might enjoy this short story from Stones in my Clog by chiropractor Bernard Preston. I'm sure you can see why this patient's leg aches when he exercises. 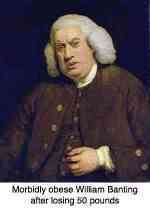 Intermittent claudication by Bernard Preston DC. There are two main nerves supplying the legs. Almost always it begins with associated lower back pain. 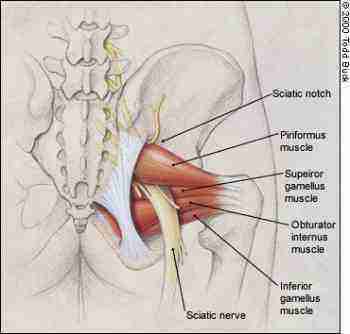 The sciatic nerve belongs the very lowermost part of your lumbar spine, coursing via the buttock to the leg and foot. SLUMP TEST for Sciatica is easy to do at home. The femoral nerve on the other hand emerges from rather higher in the lumbar spine, and courses through the groin to the top of the upper leg, and inner lower leg. However, the pinched nerve test for the Femoral nerve, unlike the Slump test for sciatica, is not easily done at home. It helps your chiropractor if you can tell him/her precisely where your tingling in feet and legs is. For example, does the tingling go to the side of your foot? 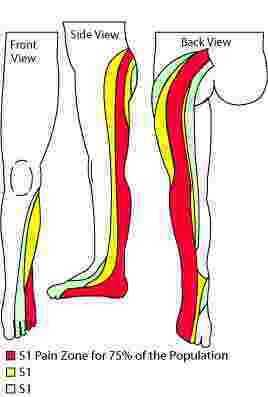 However, whilst for 75% of people a sciatica from the L5-S1 joint will go down the back of the thigh and leg, and to the side of the foot, less commonly (see the yellow and green patterns) it may mimic a sciatica from the L4-L5 joint, and go down the side of the leg. Part of the problem is that an intraforaminal disc extrusion at the L5/S1 level will affect the L5 nerve root, but a more medial herniation would impact on the S1 nerve root. So, the same disc can affect two different nerve roots. Thus, one can not be certain which disc is effected from the dermatomal pattern. A careful physical examination of the spine is in order. That would include range of motion, orthopaedic tests, neurological signs and symptoms, and at least an xray. Sometimes, because not uncommonly degenerative change occurs at several levels, an MRI is necessary to confirm with absolute certainty at which level the offending lesion is to be found that is causing tingling in feet and legs. MRI has one other not unimportant advantage: it's not damaging ionising radiation, but the cost is huge, more than ten times as much as an xray. possibly weakness in the legs and feet. How reliable are X-rays? Very useful but in cases of severe radiating leg pain an MRI is mandatory. On a personal note, I recently suffered a severe disc extrusion into the foramen. But that disc, as seen on X-ray, was one of the best in my lumbar spine. The most common sciatica refers to the outside of the foot and the small toe. If there is weakness you will have difficulty standing on one foot and raising your heel from the ground. Try it! Hold onto a chair, stand on one leg and raise your heel repeatedly. You should be able to do it without any sign of fatigue or shaking of the lower leg. An S1 sciatica may make this difficult. Tapping on the Achilles tendon tests the integrity of the S1 nerve to determine if it could be the cause of tingling legs. 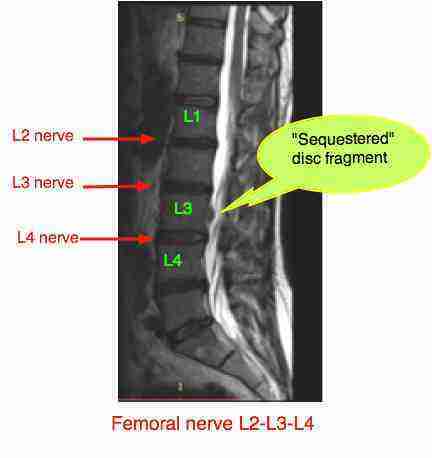 The L5 nerve root is most commonly affected by the L4-L5 disc joint, though the nerve emerges at one level lower. The tingling in feet and legs (and/or pain) is more commonly on the side of the lower leg, and the great toe, though it can affect the side of the thigh too. If there is weakness, you will be unable to lift your great toe off the ground. This means that you may trip as you walk, as you foot isn't lifted properly in the swing phase. Is your leg tingling, and do you also have weakness? The L4 nerve root is less commonly the cause of tingling in feet and legs and, when it does, it's a real bugger. In my experience it responds less well to manipulation, and better to flexion-distraction. It shares slips with both the sciatic and the femoral nerves. 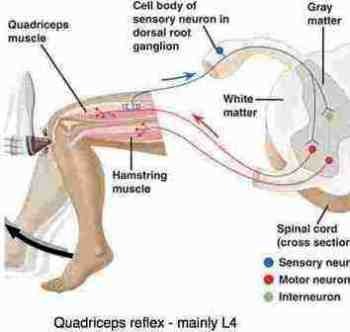 The knee jerk reflex may be reduced, and weakness can affect the major flexor of the knee, the Quadriceps muscle. The result is a profound limp, and weakness on stair-climbing, as well as a leg tingling. This page is quite long enough, so we will cover the FEMORAL NERVE on a different page. Less frequently troublesome than the Sciatic nerve, the Femoral nerve typically causes pain in the groin and front part of the thigh, and weakness of the Quadriceps muscle. 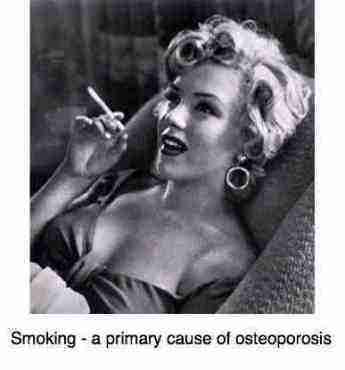 So does hip arthritis, so careful examination is paramount. Femoral nerve damage gives an account of my own severe injury, successfully treated with chiropractic manipulation. Then there are some lesser nerves from the lumbar spine. One such is the Lateral Femoral Cutaneous. Irritated in the mid lumbar spine by a vertebral subluxation, and pinched in the groin where it passes under the inguinal ligament, it can cause pain and tingling in the upper thigh. Known as meralgia paresthetica, it is generally considered a medical condition, and a difficult problem to treat surgically or with drugs, yet I have had great success in treating MP. Very occasionally it can be caused by an infection or mass in the abdomen. Fortunately rarely, the usual site of the problem is in the groin and jointly in the lumbar spine. Read more about it at the upper leg pain page. Arthritis in the lower back is no more uncommon than grey hair. In one sense it's a normal part of aging. Any degenerative changes in the joints in the lower spine can have a direct effect on the nerve roots emerging from the spine. Arthritis in lower back however is considered by many in the medical community to be an untreatable disease, except perhaps by anti inflammatory drugs or even more radical lumbar surgery. Nothing could be further from the truth. In the case at the arthritis in the lower back page below you can read how an elderly woman with advanced arthritis gained very significant relief of pain with chiropractic help. Frequently the irritation of the nerve is in any case, due to a subluxation, and not arthritic at all. Nevertheless it behooves us to take early facet arthritis seriously; with exercise and adjustments prevent it from turning into lumbar stenosis. However, prevention of tingling in feet and legs is obviously better than a cure. Everyone suffering from chronic lower back pain should spend two minutes EVERY morning before getting out of bed doing this simple spinal stenosis exercise. Occasionally, a slipped disc may progress so that a fragment of the nucleus pulposis may become completely detached from the main body of the disc. Once in the spinal canal proper, this sequesterum as it's known may actually migrate either up or down in the canal. Here it is directly in contact with the descending nerve roots of the cauda equina; the horse's tail which continue after the spinal cord ends at the lumbar thoracic junction; tingling in feet and legs is a common symptom. Depending on which nerve roots it comes into contact with, the sequesterum may be the underlying cause of non-dermatomal patterns of numbness and tingling in the feet and legs. One day the tingling may be under the foot, and the next on the side of the lower leg. Very rarely, this sequesterum may cause a "cauda equina syndrome" in which the nerve to the bladder and bowel may be affected, causing very serious symptoms; specifically an inability to urinate. More commonly, the seqesterum is gradually reabsorbed causing less and less symptoms, often returning to quite normal. Once can live with a bit of tingling and numbness; it's pain and motor weakness that are far more serious. Those of you who read this website with any regularity may know that I myself had a sequestered L3/L4 disc some eighteen months ago. It was completely successfully treated with chiropractic help, but the patchy numbness in the lower leg irritates periodically. The pain in the leg ceased with a few weeks, the strength of the quadriceps muscle returned within a couple months. Below you can see the sequestered fragment in my own back; it has migrated cephalad, or towards the head, from the L3/L4 disc. Read more at femoral nerve damage. Classically the L4 nerve root is pinched by the L3/L4 disc, though the L3 root can be affected by a lateral herniation into the IVF. A small muscle in the buttock can entrap the sciatic nerve causing a tingling in feet and legs. Because of its attachment on the sacrum there is often an associated sacroiliac joint subluxation. Read more at piriformis syndrome. Experts say that walking helps heal damaged nerves. The pain and tingling in feet and legs experienced by up to half of diabetic patients is caused by high blood sugar which damages the nerve. Since walking, cycling, swimming etc improve the blood circulation in the lower limbs it helps the oxygenation of the nerves. One profound study proved that diabetics who walk regularly don't get diabetic neuropathy. As long as they keep walking. That's big! The research also found that it slowed the progression of any existing neuropathy. Walking also is one of the simplest ways of reducing blood sugar; that's key because it's the increased blood sugar that is the problem in the first place. Walking benefits in the outdoors releases the feel-good endorphins from the pineal gland in the brain, increasing our tolerance of pain too. B vitamins, particularly B12, are also known to help nerve pain. Fascinating research reveals that nearly half of deaths from heart stroke diabetes are directly related to diet; too much salt, or too little whole grains, for example. All living tissue needs oxygen, nutrients and the removal of waste products. Insufficient blood is yet another cause of tingling in feet and legs of a condition called atherosclerosis, or hardening of the arteries. Yes, you guessed it. Very few smokers escape this nasty furring of the arteries, and it's far worse if their cholesterol is raised, or they are diabetic. Atherosclerosis is the reason why diabetic smokers lose toes and go blind - tissues starved of oxygen. Tingling legs is the norm; in the leg, atherosclerosis reduces the blood flow so that the muscles don't get enough oxygen. When called to exercise, the muscles begin to tingle and hurt due to a condition called Intermittent Claudication. I'm sure you have gathered that there are many causes of tingling in feet and legs; and we haven't even considered the severe pathological diseases, rare though they may be, also contribute their share to the misery of these symptoms. Chiropractic Help is based firstly on a sound diagnosis and then, if appropriate, manipulative therapy and rehabilitative exercises. If it was always successful there would be no neurosurgeons operating in the lumbar spine; yet failure of chiropractic treatment is often not because treatment has failed but other reasons. Expectations of miraculous overnight cures; one click in the lower back putting the bone back into place should have worked. It rarely does when there is pain and tingling in feet and legs. Pressures from family and the family doctor and insurance that will pay tens of thousands for surgery but are exceptionally parsimonious with conservative care are examples too of why patients go prematurely under the knife. I continue to be astonished how, given time, rest and common sense many patients recover from seemingly hopeless situations. In fact I myself recovered completely from a sequestered disc, normally considered a medical emergency. Read more about the femoral nerve at Inner Body; it's all about tingling in feet and legs. COMMON MEDICAL CONDITIONS that may respond to Chiropractic.